Our new polling, reported in the Mirror today, shows that a majority of the British public think local authorities should be allowed to set up new public bus companies – as opposed to 22% who don’t believe they should have this power. The government’s new Bus Services Bill includes a clause that would ban councils in England from setting up new municipal bus companies. The polling by Survation shows that even amongst Conservative voters, twice as many people believe local authorities should be allowed to run their own buses (54% to 25%). The Transport Committee is currently consulting on the Bus Services Bill legislation - the consultation deadline is this Friday 26th August. 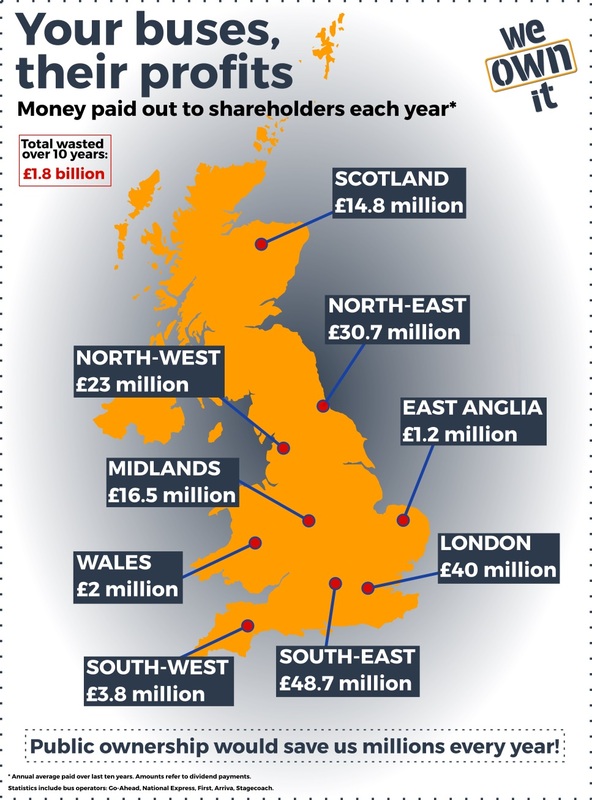 There are already 12 local authority-owned bus companies across the UK. These vary in size and scope, from a small service in rural Dumfries and Galloway, to large scale operations in cities including Edinburgh, Nottingham and Reading. In 4 of the last 5 years, local authority run buses have won Bus Operator of the Year at the Bus Awards. After nearly 30 years of deregulated buses, the polling also found that over four times as many people want more public ownership of buses than want more private ownership (46% to 11%). 26% want to see no change. Research from Transport for Quality of Life suggests we could save £506 million a year from buses outside London by bringing them into public ownership. Municipal bus companies are common in other European countries such as Austria, France and Germany. The Bus Services Bill has so far been debated in the House of Lords where a number of Lords questioned clause 21 which would stop local authorities from setting up new bus companies. The Transport Committee consultation specifically asks for opinions on ‘the basis for a prohibition on new municipal bus companies delivering bus services, particularly in non-franchised areas’.